Seven forces have topped a list of organisations who best represent lesbian, gay, bisexual & transgender (LGBT) staff. Cheshire, Nottinghamshire, Leicester, Sussex, Northumbria, Lancashire and Police Scotland all made it into The Stonewall Top 100 Employers index, which highlights performing employers. The forces showed how they represent LGBT employees in ten areas of employment policies and practice, from training to community engagement whilst staff complete an anonymous survey about their experiences at work. 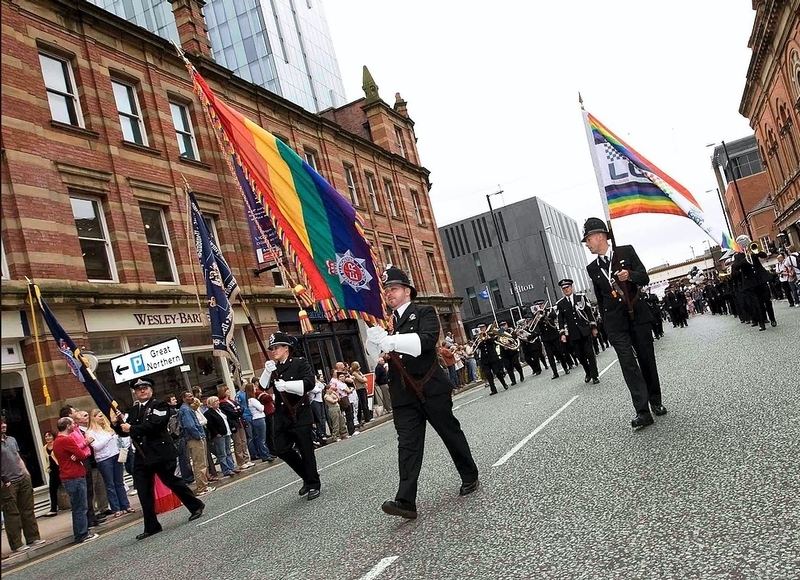 Sixteen forces put themselves forward, however, Cheshire Constabulary came out on top for equality amongst LGBT officers and staff. Cheshire Constabulary was ranked 26th out of 434 employers in the public and private sector. Feedback from Stonewall praised the Constabulary for its strong stance on anti-bullying and harassment of LGBT staff and community engagement work through collaboration and support of local LGBT community groups and events. Senior staff at the force were also praised for engaging with and actively supporting LGBT inclusion. Darren Towers, Executive Director at Stonewall, added: “Cheshire Constabulary and all those who have made this year’s Top 100 Employers list have done a fantastic job. The Police and Crime Commissioner for Surrey David Munro, national lead for Diversity said he is delighted to see a number of police forces recognised again in this year’s Stonewall Workplace Equality Index. Surrey Police was ranked 163 out of over 430 organisations which was 13 places higher than in 2017 - the first time they had been included in the Index. He said: “As the EDHR lead for PCCs across the country, I am keen to highlight the need for forces to encourage more people from within our diverse communities to seek opportunities in the policing world. “To achieve that we must provide a welcoming environment free from discrimination of any kind so I am really pleased to see a number of forces continuing to be recognised in this year’s Stonewall Index. Sergeant Gina Denham, who previously told the Oracle about her transitioning journey said it is important more forces put themselves forward to be included on the index. She explained it can have a positive influence on people and may encourage other LGBT people to join the police force, as she discovered some trans people have doubts about enrolling. Sgt Denham joined City of London Police in 1993 before moving to Essex Police and came out in 2014. She also said she knew of a MPS officer who came out as transgender in the 80s and lost their job. Sgt Denham said joining the force helped her cope with her struggles: “Transgender people often find themselves in denial and experience displacement where they want to take their anger out on others. She praised Essex Police for its support and explained how important all the small gestures are. The force allowed Sgt Denham to have two warrant cards as she was transitioning, making her one of the first.